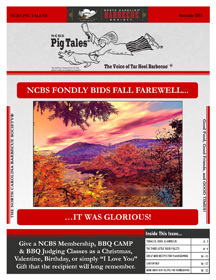 NCBS Pig Tales® is the monthly newspaper for NCBS members. 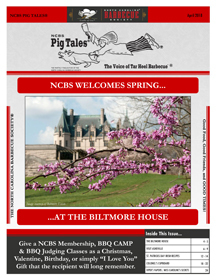 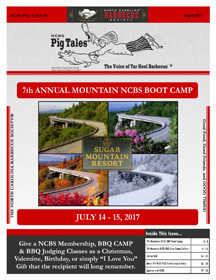 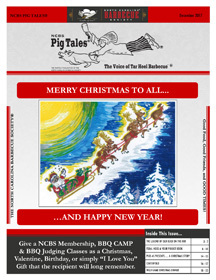 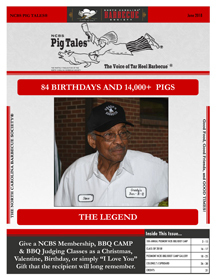 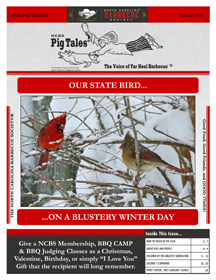 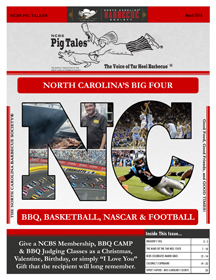 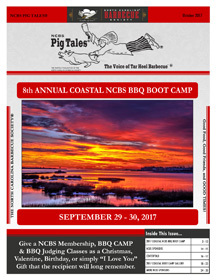 NCBS Pig Tales® is the Voice of Tar Heel Barbecue and is published in electronic form with hard copies available to those who do not have an email address. 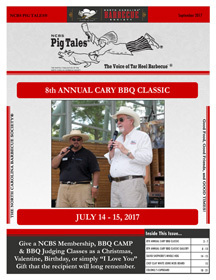 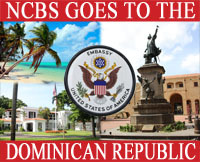 NCBS Pig Tales® carries columns for girl talk (Miss Caroline's Secrets), guy stuff (Viper's Vapors) recipes sought and shared (Colonel's Cupboard), guest columns, barbecue news, calendar of events along with other items of interest. 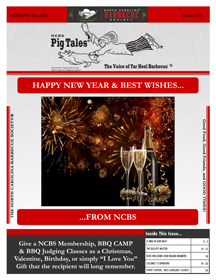 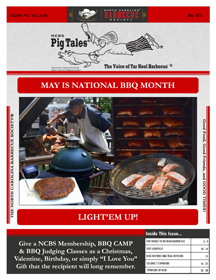 It is the goal of the NCBS Pig Tales® staff to present its readers with interesting and informative fare and insight into what is happening in the world of barbecue statewide, nationally and internationally. 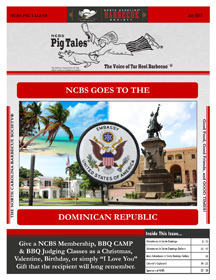 NCBS Pig Tales® is cutting edge.